Are you looking for a meaningful yet inexpensive Advent resource for your church this Christmas? 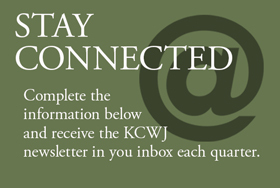 KCWJ is pleased to offer Advent Reflections written by Gail Johnsen. With a daily scripture, devotional and reflection questions, it's a wonderful seasonal tool to encourage people to enter the Christmas holiday with a sense of expectant waiting and preparation for the celebration of Jesus' birth. 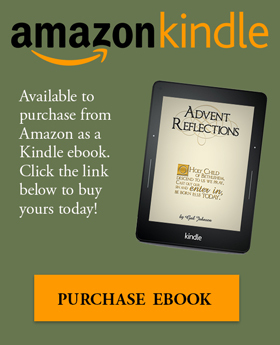 - “It’s my favorite Advent devotional!” ~Dave M.
- “I loved the daily devotional thoughts. They were new and refreshing!” ~Shari D.
- “We used it for our family devotions and even my teenagers liked it!” ~Lisa L.
- “This was so helpful!” ~Donna B. If ordering hard copies, please note: While we will process your order as quickly as possible, we cannot guarantee delivery dates. So act fast! below and select "Add to Cart."